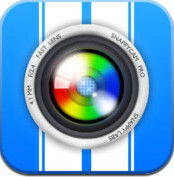 SnappyCam Pro (iPhone) - The fastest camera app around ~ Android Forever! Developer Quote: "~ Q: The secret to better photos? ~ A: Rapid, fast shots. Like a pro. >> On Sale for a Limited Time! << SnappyCam is a professional high-speed camera that's super easy to use. It's like a DSLR, but costs less than a cup of coffee." I've always loved the sound of a rapid burst of camera shots. And apparently, taking lots of fast shots is the best way to make sure you get those once-in-a-blue-moon, unbelievably awesome, irresistibly cute shots of your subject. 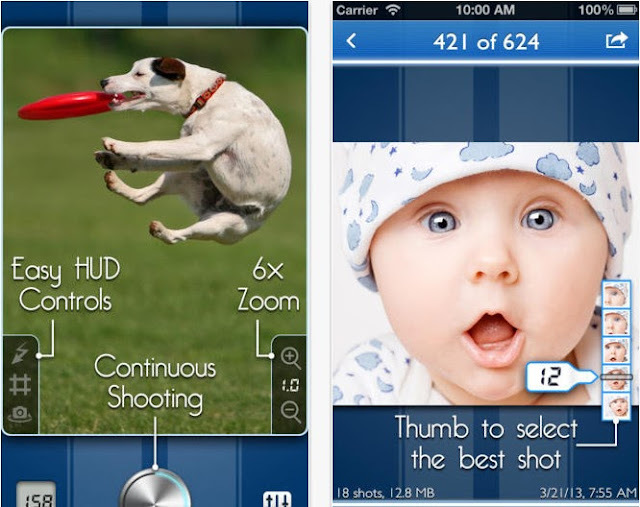 This app claims to turn you into a pro photog for the price of Stabucks' cheapest cup! So check it out and see. Never miss the shot. Get more natural, better framed photos. No more posing! Incredibly fast, up to 60 pictures/second † and configurable down to 1 picture/hour for time-lapse photography. Forever hold the shutter button and be sure that the most recent burst of shots are recorded. No need to guess when to start pressing the shutter button. Save ALL shots or just a selection to the Camera Roll, send via e-mail, or drag and drop them to your desktop with iTunes App File Sharing. Export your favorite shot to Instagram. Shoot at regular 4:3, widescreen 16:9, square 1:1, or many more aspect ratios. Digital zoom at up to 6.0x magnification. Unlike other apps, we provide pixel-perfect lossless zoom that's blazingly fast. Our exclusive digital signal processing (DSP) engine is capable of high-speed photography at full sensor resolution on most devices, up to 8Mpx. Click on the icon to download from the App Store!